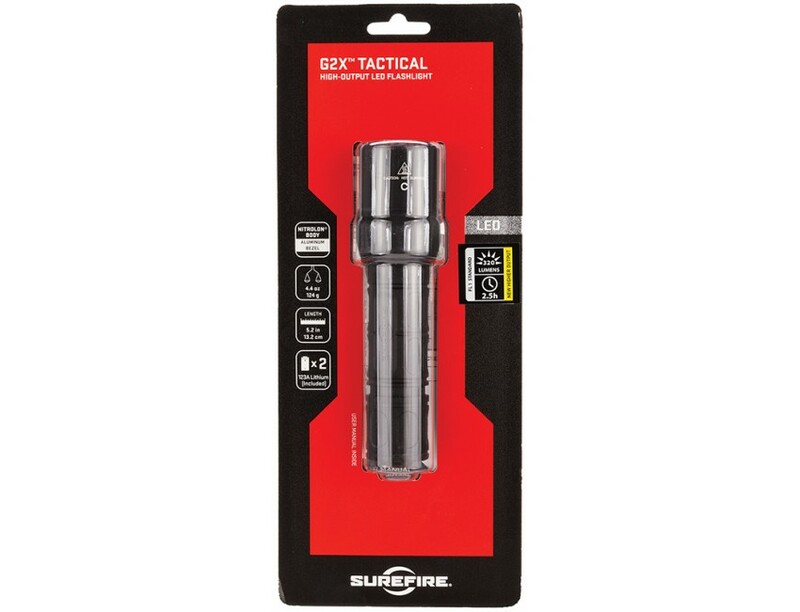 The G2X Tactical by SureFire is a compact yet powerful polymer-body LED flashlight designed specifically for tactical use. 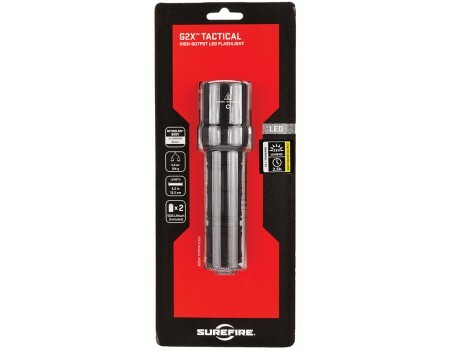 Its high-efficiency LED generates a brilliant, penetrating, perfectly pre-focused 320-lumen beam, and the polycarbonate micro-textured reflector delivers a comparatively wider beam with generous peripheral light. The Nitrolon polymer body is smoothly sculpted for a comfortable, secure grip, and it resists scratches, abrasions, and corrosion. Its tactical tailcap switch can be pressed for momentary-on or twisted for constant-on. The G2X Tactical is O-ring and gasket-sealed for weatherproofing, and it is available in multiple body colors.